Search engine optimization is (admittedly) a significant challenge for most every business owner, entrepreneur, and marketer out there today. It requires tons of knowledge, or a big load of money to hire a specialist. It’s not that the fundamentals of success with search engine optimization are all that challenging – honestly, figuring out how to rank a keyword on your blog isn’t really the stiffest challenge you’re going to come across – but because so many people are trying to master search engine optimization you are going to be going up against some stiff competition. It also takes time and patience. SEO is not an overnight phenomenon. You need to be consistent in order to get results. 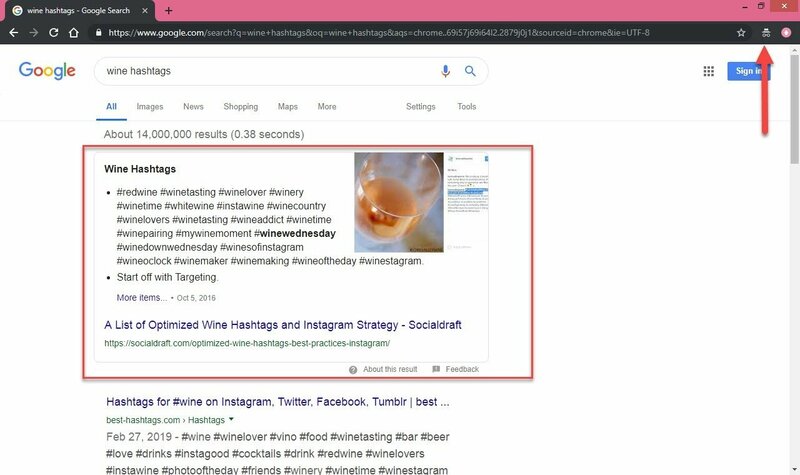 At the same time, if you’re going to have any real success in business today you need to make sure that your company or organization has mastered the art of search engine optimization and that you are doing everything you can to get Google to rank you for a key term upon the first page. It used to be true that you could do quite well in business without owning your own little corner of the Internet – but nothing could be further from the truth today. If you’re serious about competing locally, nationally, or internationally, you not only have to have a well-developed website that gives your prospects and customers every opportunity of understanding who you are and why they should purchase from you directly. You’re going to need a solid and consistent content marketing plan, and you’re also going to need to get serious about search engine optimization so that they will be able to find all those great articles you wrote in the first place. There is no such thing as the “Field of Dreams” when you’re talking about business. It doesn’t matter if you build it, that alone won’t make them show up at your doorstep to pump money into your cash register. No, you need to know exactly how to rank for a keyword on your blog or website to attract the perfect prospect and customer – and that’s why you’ll want to improve your search engine optimization as best you can for 2016 and beyond. The most important step in establishing your search engine optimization is understanding the value of savvy keyword research. Obviously, you aren’t going to be able to rank your business for every single keyword out there. You’re instead going to need to focus in like a laser on a handful of highly converting keywords – but keywords that you’re going to be able to master and dominate all on your own. This is going to take a bit of digging and more than a little bit of research – but it’s research that will pay significant dividends in the long run. Start off with topics that have to do with your industry and business. Come up with about 10 different topics and use these as a starting point for your targeted keywords later. What would your customers/community write into google to get to you or your competitors? This is the type of topic that you’re going to concentrate on. Say you are a travel writer. Your topics could be “travel tips”, “locations”, and “travel discounts”. 2. Now Work on those Keywords. You have your main categories, now you need to come up with the keywords to fill that category. You need to think of what keywords would fill up these categories. These keywords need to be targeted for SERPs (that stands for search engine result pages). These are the specific things your audience is looking for in Google. Check out your Google Analytics (if you don’t already have this, make sure to sign up) to find out what keywords are already sending traffic your way. You should find the articles that are being found via these keywords and make sure you optimize them so that your competition cannot steal these terms from you. You can also analyze these and see how you can implement these into your future content marketing efforts. Another great SEO tool is Serpstat, you pay for it, but it is ridiculously easy to understand and use. This is a pro-tip that’s going to save you tons of time. Hit up “google.com”. 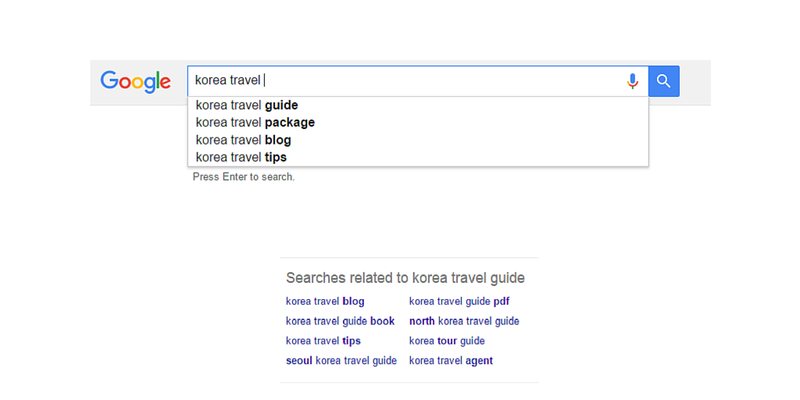 Type in one of your keywords and see what Google suggests. These are keywords & phrases you should be including in your posts. If you scroll to the bottom of the results from Google, there will be even more suggestions there. Use these keywords to 1) come up with new topics for your content marketing, 2) to utilize these keywords or phrases in your blog article or website pages so that you have a better chance of ranking on Google and other search engines. Digg and StumbleUpon are great places to be found (so is reddit, but unless you understand the landscape there, you should not play in that ecosystem). If you really want to jump-start your search engine optimization success, you’re going to want to do absolutely everything you can to leverage Google and its in-house search engine spiders to give you that bump you need to rise above the rest of the competition. Google is interested in one thing and one thing only – making sure that people that use their search engine are able to find the most relevant information to their search possible. If you make it easy for Google to rank you for a specific keyword term by meeting all of their key criteria and creating content that will actually help those that come across your site, you’ll really be off to the races! Keep in mind, the days of keyword stuffing are gone. You need well written articles that are relevant to your business or industry, that are useful to your audience so you can increase the time on page. Here are just a couple of steps to increase your chances of ranking higher on Google without going insane or spending too much money. At the end of the day, it’s going to be a lot easier for you to figure out how to rank for a keyword on your blog or website when you use the inside information we’ve provided above.